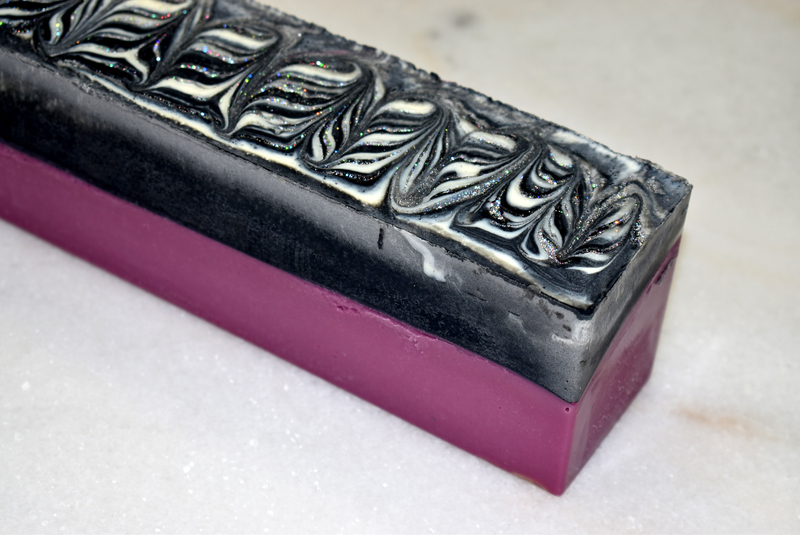 In this video I’m going to walk you through making this zebra glam soap design. I used .5 oz. of lavender essential oil and .5 oz. of litsea essential oil. I used a 12″ tall & skinny silicone loaf mold from Bramble Berry. To learn how to prepare your oils and lye solution, please watch our basic video series. Amanda, love your videos, So easy to follow your directions. Im a new soaper with several batches under my belt. I read that one should always run recipes thru the soap calculator. The Zebra Glam recipe calls for 250 grams of water but soap calc calls for 342 grams of water. Which should I use and wich is correct..
Love what you do and for sharing it with us!! You are an inspiration! Thank you! Amanda, You are one of the COOLEST soapers in my book. Thanks for the wonderful video. So excited to try this one! I need to make lilac soap and it is usually so boring, going to make it fun! Thanks for teaching me! 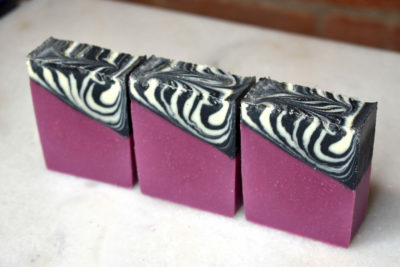 What a lovely colourful soap. Would like to try but am wondering what I can use instead of the safflower oil ? Please keep posting your wonderful videos as I love watching them and seeing your beautiful soap creations.